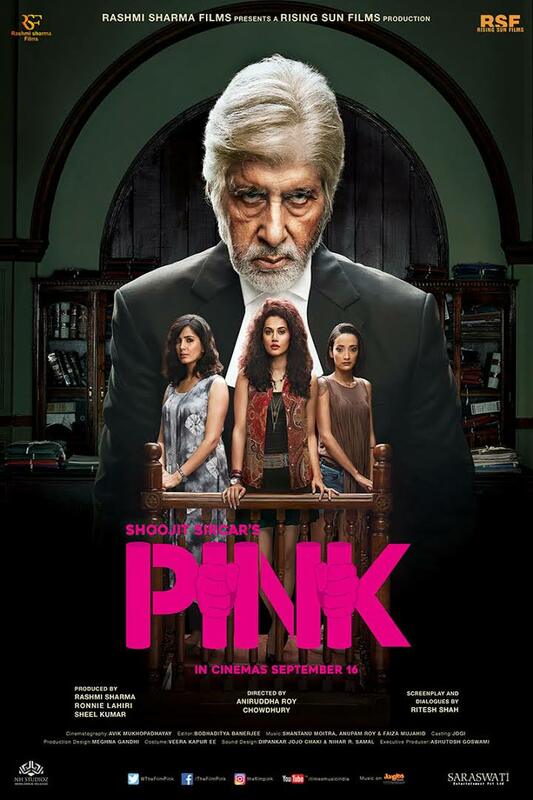 Vastik Mishra: PINK (2016) MOVIE REVIEW! 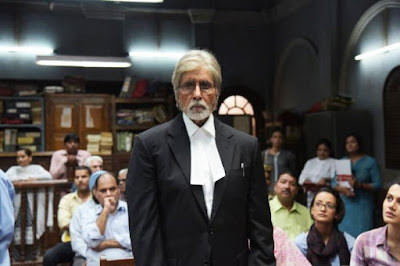 I didn't plan to review this movie, cause I was late, but when I saw the film, I tought of giving my verdict on the film, cause, it is not a regular bollywood movies with songs and all. This is one the most darkest movies in bollywood, I have seen in recent time. The last, movie which I remember being to dark and dull was my favourite Indian director's Ugly (2013). This movie is extremely well directed, and written. Aniruddha Roy Chowdhury , the director of the film, did justice to the movie. That, is what I call clever direction, not showing what happened, but later opening it on court sessions. The editing, is by far one the best in bollywood, of this century. I would say the direction, as well as editing after the first half, is superb. We dont see, much after the first half, only thing we see are the court sessions. I started to get so much information by the court sessions, It was so clear, to understand it. "Court Sessions" are breathtaking at some point, especially during the end. Now, I come to the performances, the all three girls, understood the character well, and performed accordingly. But, my main focus stayed with the legend, who have done three films this year, All 3 I loved (Wazir, Te3n, and now Pink). Amitabh Bachchan I'm talking about who else! He is just almost flawless in the film. The only issue, I had with this movie was maybe the pacing, but I understand, as the movie being dull, and on such a topic. Other issue was the acting of the boys(Angad Bedi, Vijay Varma etc..), they seemed to overact at times. Other then that it is a very satisfying movie. This is for sure one of my favourites of this year, (Only In Bollywood). This has been a good year for bollywood movies. From Aligarh to Raman Raghav 2.0, and now this. Still, there are great movies to come, and the most awaited from now onwards of mine would be MS:DHONI & Dangal. Would love to see, like this movie and others I named, in bollywood. I have had inaf, of bollywood's love stories, this is what I would love Bollywood to create. I think most of you must have watched Pink already, If you havent be sure to check it out.